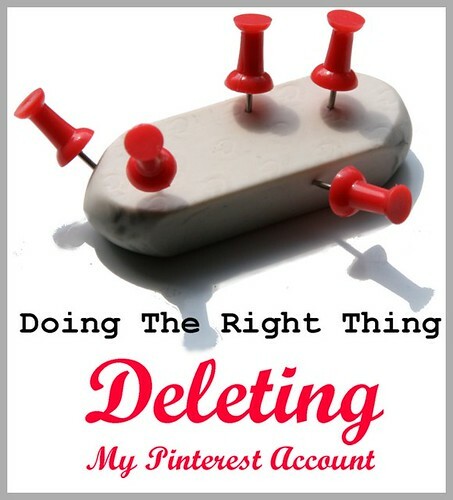 Creators Against Pinterest: Can You Unpin On Pinterest? Yes, you can unpin an image from Pinterest! Hover your cursor over the thumbnail or the full-size image that you want to UNPIN. Click on the EDIT button that appears on the top left. Remind yourself that you are doing the right thing to help content creators to survive. Click on the DELETE PIN button on the top right. You're done, and thank you on behalf of all publishers. Unfortunately, if the image has been repinned, you can't delete that from other people's boards, and presumably, you're not off the hook for copyright infringement, as the repinning leaves a trace of your actions.